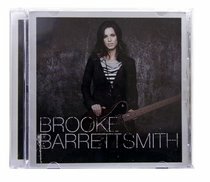 :Brooke Barrettsmith captivates audiences with her passionate vocals and straightforward lyrics about faith and relationships. Growing up in Chicago, Brooke first started singing in church with her siblings. Since then, she has shared the stage with artists such as Toby Mac, Audio Adrenaline, Jeremy Camp and Steven Curtis Chapman. Brooke Barrettsmith is a Christian comes from Spring Grove, Illinois. She was a former contestant of the reality television show American Idol during its fifth season in 2006 where she reached the top 40. Her self-titled debut album was released on August 19, 2008.